This 2014 GMC Terrain SLE-2 has many available options! Please contact us for a list of options and equipment. 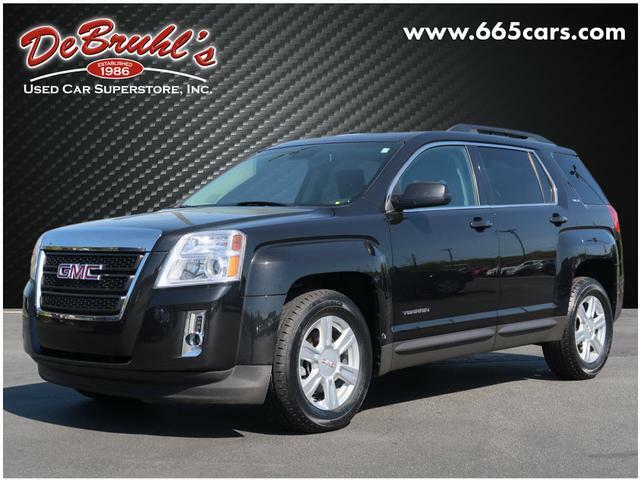 * 6 Cylinder engine * * Check out this 2014 GMC Terrain SLE-2 * * 2014 ** GMC * * Terrain * * SLE-2 * This Black 2014 GMC Terrain SLE-2 might be just the SUV AWD for you. It comes with a 6 Cylinder engine. The exterior is a classic black. Want a SUV AWD you can rely on? This one has a crash test rating of 4 out of 5 stars! Call or visit to talk with one of our vehicle specialists today! DeBruhls Used Car Superstore is the largest independent auto dealer in WNC! We offer a full range of financing with our guarantee credit approval, everyone is approved here.